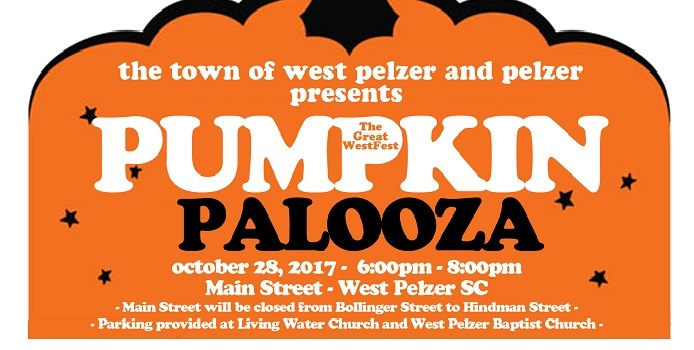 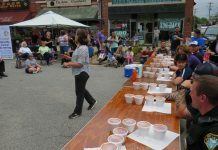 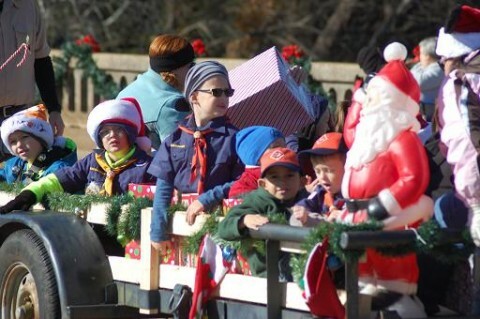 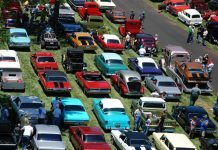 The Town of West Pelzer/Pelzer Pumpkinpalooza will be held from 6 pm to 8 pm this Saturday, Oct. 28 on Main Street in West Pelzer. 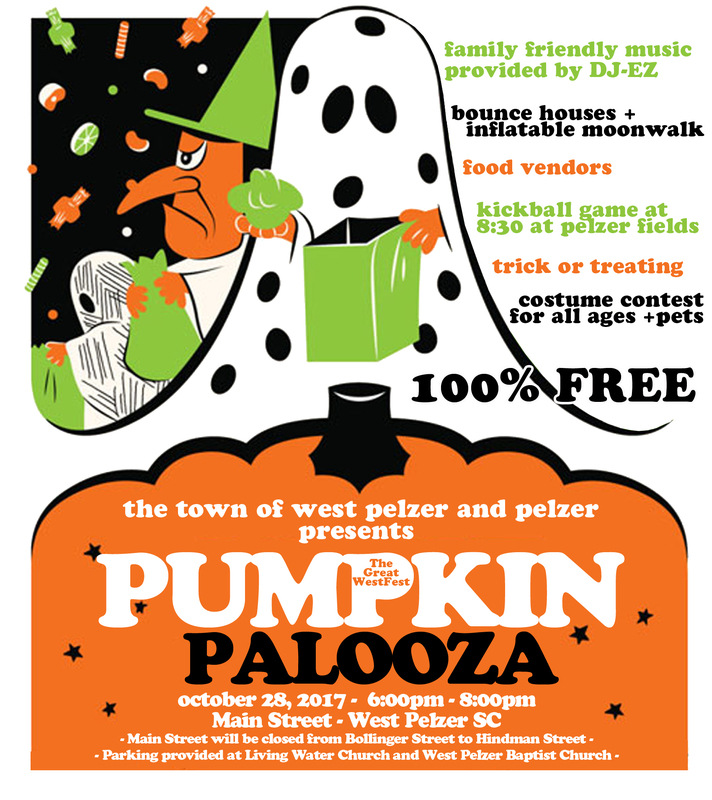 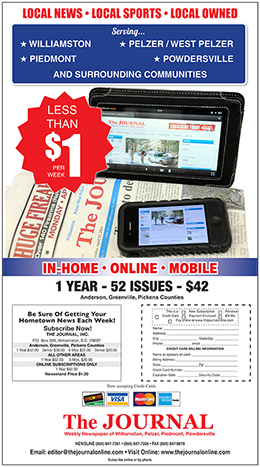 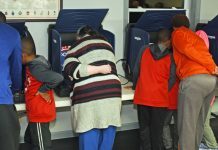 Free trick or treating from community organizations and local churches, free bounce housed, food trucks, dancing, music by DJ, and a costume contest for adults, children and pets. 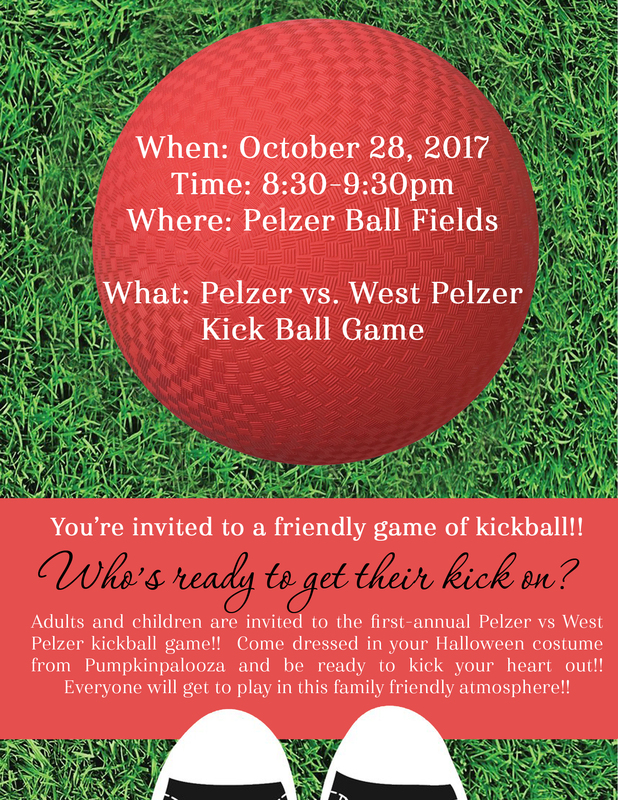 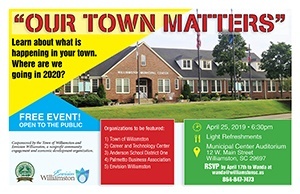 There will a community kickball game (Pelzer vs. West Pelzer) on the Pelzer ballfields following the event.